perles de 8mm There are 19 products. 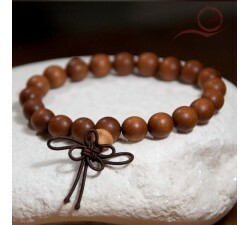 Mala beads wood: Mala in wood, black pearl of 10mm. Mala means necklace of flowers. Stone bracelet of jade: Jade stone is an harmonizing ivy, jade represents honor and virtue, it is also a stone of protection. It is connected to the kidneys. Agate bracelet, foam Very beautiful agate foam bracelet, the pearls have a very beautiful green hue, red. This bracelet fits all sizes thanks to its closure system.8mm beadsAttention non-contractual photo, each bracelet has these specific pearls. Very beautiful bracelet in amazonite: This beautiful mala amazonite is of great quality, the Amazon comes from the Amazon River. This stone brings you the joy of living and love. It is associated with the chackra of the heart.0.8cm beads, mounted on elastic. Very beautiful tiger eye bracelet in stones : This tiger eel bracelet protects from external dangers. 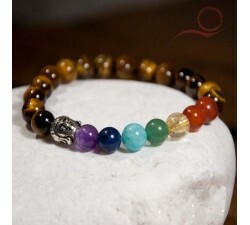 the tiger's eye is linked to the solar plexus, it gives courage. Stone bracelet mala of jade: Jade stone is an harmonizing ivy, jade represents honor and virtue, it is also a stone of protection. It is connected to the kidneys.